Planning for the Future, Part Two: Where Will They Live When I Am Gone? In “Planning for the Future, Part One,” we covered your financial options for long-term planning as a parent of a child with special needs, along with writing a letter of intent describing your loved one’s needs, desires, and goals in all life areas. In this piece, we will cover the documents needed and systems you’ll be working with to make (or help make) decisions for your adult child, such as where he will live, who will help her with money, and how to prepare both ourselves and our children for our old age. There are not nearly enough housing options for adults with disabilities. Across the United States, more than 850,000 people with Intellectual and Developmental Disabilities (IDD) live with an aging caregiver (age 60 and older). According to the study Priced Out in 2014, approximately 4.9 million noninstitutionalized Americans with disabilities who rely on federal monthly Supplemental Security Income (SSI) have incomes averaging only $8,995 per year, which are low enough to be “priced out” of every rental housing market in the nation. Housing issues are complex. There isn’t enough money, availability, or accessibility, and, as possible tenants, people with disabilities can face discrimination. In Colorado, where I live, we have two kinds of Medicaid waivers for people with IDD. Only one covers residential care for those most affected by their disability. It covers group- and host-home options or staying in the family home. But only about one out of 10 residents with IDD get that waiver. The other waiver that most have covers only day services, and for many, it provides only a few days of services. Many of our older adults with IDD do get the 24-7 comprehensive waiver. Colorado used to be able to cover more people (and there were fewer people to cover), but those of us with children age 24 and under cannot expect that our kids will ever get residential services—and for many of our kids, it’s not what they would want. But they have to live somewhere, right? Across the nation, there are some affordable-housing buildings and leases. Around here, the lottery to apply for one is open for two days per year. And even if you get a precious Section 8 voucher, you have to find a landlord willing to accept it. In a market in which landlords have their pick of tenants who will pay the price they want, most are not interested in renting to Section 8 tenants, adding another layer to the housing crisis for adults with special needs. Most folks get nothing—no voucher or residential services—so they either live with their parents or other family members, or they are homeless. A few lucky ones have families who can buy a condo for them to live in with a roommate or caregiver. Even though the wait may take years, even decades, we Solo Moms have to work with our loved ones to prepare them to live without us. That process is practical (teaching them all we can to care for themselves and their home), and it is also critical. For most of our kids, the day will come when they will not be living in our home or with us. That means we must help them become as independent as possible and to allow other people care for them. If you are doing everything you did when your child was still a child, then it might be time to reduce some dependency for both of you. As you age, you may not be able to do it all, and as they age and prepare to live without you, they may need some experiences and exposure to other living situations. Consider chores, habits, and daily activities that your adult child might be able to do more of on his own. Can he get himself up and ready in the morning? Could you do one thing to get closer to that reality? Each little step will make a difference. It’s an emotional, logistical, and complex process to put together a cohesive future plan for our sons and daughters. If our child is getting Social Security income, services through Medicaid, and health care through Medicaid/Medicare, we have to carefully plan and prepare to keep her safe, healthy, engaged, and happy long after we are gone. Long-term planning involves protecting their assets and finances, finding the right people to help, and having a vision of what our adult children will want and need as they age. For decades, Solo Moms with teens with significant needs were told to get guardianship for them as soon as they turned 18. Guardianship requires petitioning the courts by proving that your child is unable to make decisions for herself and appoints a legal guardian, which usually starts with the child’s mother. In the past few years, advocates for people with IDD have suggested we slow down and really look at our options. Guardianship removes almost every right a person has (it is basically the same as being a prisoner), and for some of our loved ones, it strips them of their rights to sovereignty. Now we ask questions to determine the least restrictive way to protect our loved one’s rights. Through supported decision-making, we ask if the person with IDD can understand and communicate that he is being asked to give away his rights. If the person cannot understand that medical power of attorney, for instance, means she is agreeing to have someone else make decisions on her behalf, then she may be a good candidate for full guardianship. If she can understand and agree, then a less restrictive approach is to notarize the simple form for medical power of attorney. All types of decision making should take into account who will be your child’s guardian or conservator or have power of attorney after you are gone. Have at least the first person behind you confirmed and, as you age, you can add to the documents. 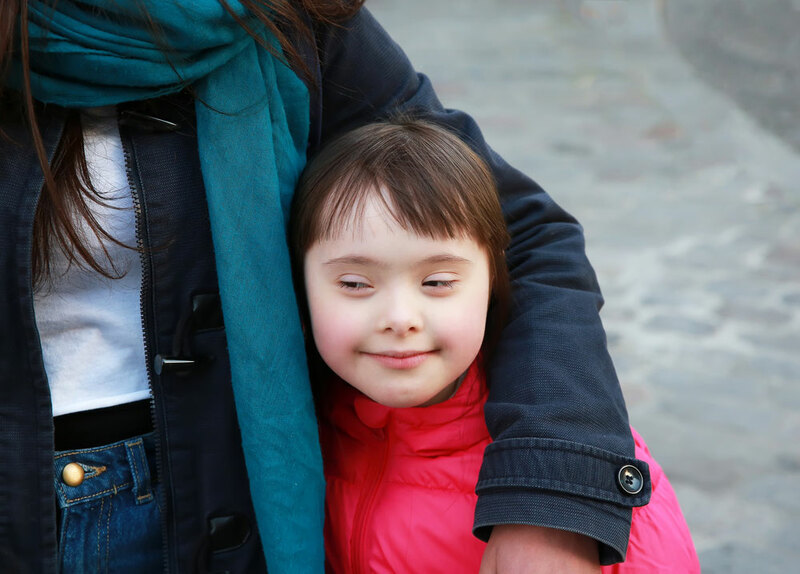 So now you know who can make decisions on behalf of your child with special needs, what to do if you’re on the wait list for residential services, and how to have Social Security income in place and services through Medicaid going. It’s challenging to be in charge of all these systems and manage your own elder years. Self-care along with finding other Solo Moms who share your journey can make a big difference. I know it does for me. If you are a Solo Mom to children with special needs, check out our closed Facebook group ESME Special Needs and ESME Tribes for additional support and connection.